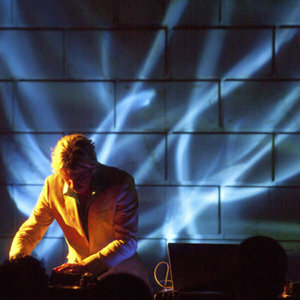 William Basinski is a classically trained musician and composer who has been working in experimental media for over 30 years in NYC and most recently, California. Employing obsolete technology and analogue tape loops, his haunting and melancholy soundscapes explore the temporal nature of life and resound with the reverberations of memory and the mystery of time. His epic 4-disc masterwork, The Disintegration Loops received international critical acclaim and was chosen as one of the top 50 albums of 2004 by Pitchfork Media. The Temporary Residence deluxe LP box-set reissue from 2012 was awarded best re-issue of the year and a score of 10 on Pitchfork. Installations and films made in collaboration with artist-filmmaker, James Elaine have been presented in festivals and museums internationally, and his concerts are presented to sold out crowds around the world. Most recently, Basinski was chosen by Music Director, Antony Hegarty to create music for the new Robert Wilson opera, The Life and Death of Marina Abramovic which had its world premiere at the Manchester International Festival in July 2011 and toured Europe in 2012 and North America in 2013. Orchestral transcriptions of The Disintegration Loops by Maxim Moston have been performed at The Metropolitan Museum of Art, Queen Elizabeth Hall and La Batie Festival in Geneva, Switzerland and most recently Dark Mofo Festival in Hobart Tasmania. Basinski is currently touring the world in support of his latest work, "On Time Out of Time" which was released on March 8th, 2019 on Temporary Residence/2062/USA.